In the spring of 2018 the U.S. Supreme Court will render a decision in the Wisconsin gerrymandering case that could have a revolutionary impact on American politics and how legislative representation is chosen. Gerrymandering! A Guide to Congressional Redistricting, Dark Money and the Supreme Court is a unique explanation to understand and act on the Court's decision, whatever it may be. After describing the importance of legislative representation, the book describes the anatomy of a redistricting n Pennsylvania. That is followed by a review of legislative redistricting in American history and the Supreme Court's role throughout. The book relates what has happened to the efforts to bring changes to redistricting through the legislatures, including the unseen but omnipresent use of dark money to oppose reforms. The penultimate chapter analyzes the Wisconsin case now pending in the Supreme Court and concludes that anyone relying on the Court's decision is relying on a firm maybe. Following the text is a Citizen's Toolbox with which readers throughout the country can evaluate the redistricting situation in their states. The Toolbox is replete with useful information gerrymandering. There are numerous books that tell how bad gerrymandering is, but my book is different, much different. 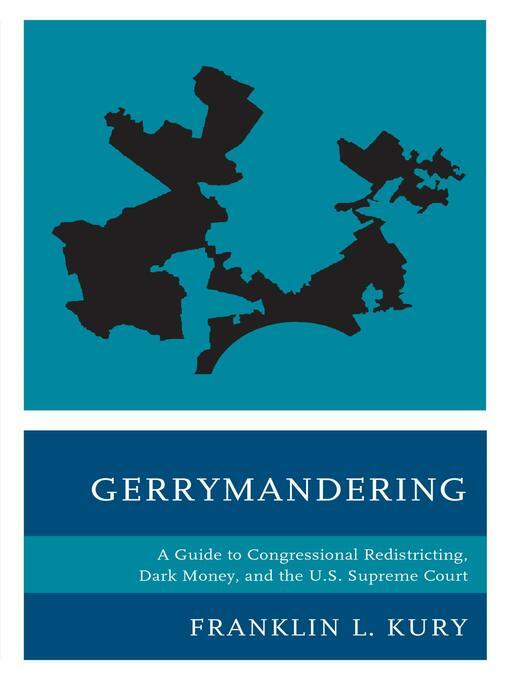 Unlike the others, this book analyzes gerrymandering as developed through the force of history, the hardball politics of state legislatures and scantily disclosed campaign expenditures to maintain it, and the daunting legal challenge for those who want the Supreme Court to adopt a new national standard for determining when gerrymandering is unconstitutional as a violation of the Equal Protection Clause of the 14th Amendment. The daunting challenges is to show the Court that a mathematical formula, such as the efficiency gap formula, is a valid method to measure violations of the 14th amendment's guarantee that every citizen be given equal protection of the law.